Our ready to wear cloth covers are made from breathable / washable lightweight cotton/polyester blend. There is no sewing required! 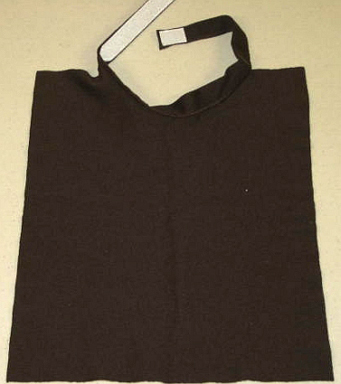 This cloth cover has an adjustable band on each side with velcro for ease of use. 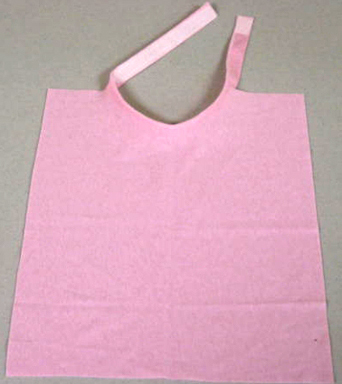 These cloth covers fit neck sizes ranging from 12 - 20 inches. The cover measures 11 1/2" X 13". Color options are light blue, brown and pink. * Light Blue and Brown fits neck sizes 14 - 20 inches / Pink fits sizes 12 - 20 inches. 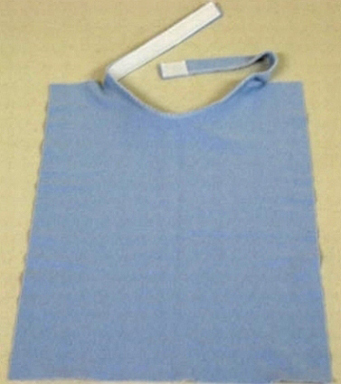 Regular price: $10.50 for a Ready to Wear Cloth Cover. Shipping is only $7.50 for Prority mail or $50.00 for UPS Second Day Air within the Continental US including Alaska and Hawaii.